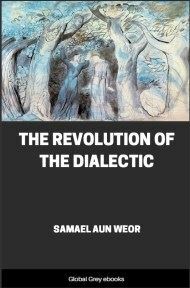 The Revolution of the Dialectic, Practical Methods for Intense Spiritual Transformation, is a book that gives details about how we can resist the evils of this world and turn to higher goals. We, the Masters of the White Brotherhood; We, the self-conscious Members of the Guardian Wall, invite all the Brothers of the World to action and the profound meditation on this Work. We, with the powers which have been conferred upon us by the Father of all Paternities and the supraconscious Hierarchy of the Invisible World of the Paramarthasatyas, invite in this instant, in this historical context, all the Movements of Regeneration that exist in the present world, to the serene reflection of this Work and to action through its practice. The Master of this Work is in the process of self with all the tests which this implies in the Internal Worlds, before the Hierarchy. 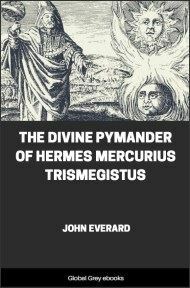 This Work has as its foundation, the Ancient Schools of Mysteries and the inner work of the Master for his experience which he has pored into all of his Works, principally: The Perfect Matrimony, Christmas Messages, Revolutionary Psychology, The Great Rebellion, The Mystery of the Golden Blossom, The Three Mountains and this, his psychological Work: The Revolution of the Dialectic, as well as his other Works, especially The Pistis Sophia Unveiled. Reflect profoundly and serenely on this Work, free of all prejudice and preconception. Try to live it according to your action of the Being, thy particular illumination, thy inner intuition and according to the particular characteristic psychological trait. Observe the dynamic changes of thy own Being as the particular defects disappear by means of the Divine Energy of our Celestial Mother, the foundation of all Perfection. 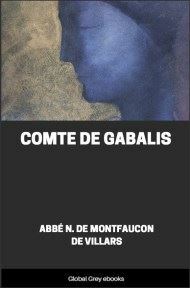 Without action, without the practice of all these psychological parameters, it would be of no use to read this book. In order to be able to know, we first have to do. Take the sword in one hand and the scale in the other and balance the study and practice of each parameter. The sword is thy own spinal medulla and the scale is the sexual energy of the Third Logos. The needle of the scale is the sovereign will which leads to action. Action, meditation, reflection, patience, prudence, humility and wisdom are the virtues which we shall place in thy consciousness of the Being in order for you to be able to reach Inner Self-Realization. For the good of all nations and for the good of Creation, by the Will of the Father of all Paternities, the Eternal Father, the Absolute Love of all Loves, the creator, the crystalline and pure Divine Fountain of all that exists and is in the visible and invisible worlds. Now, drink in its pure and crystalline waters in order for you to take its precepts to practice and thy Real Being to draw closer to the Temples of Mysteries of the invisible world. So be it. The Masters of the Temple of the White Brotherhood. Our position is absolutely independent. The Revolution of the Dialectic does not have any weapons other than intelligence nor more systems other than that of Wisdom. The new culture will be synthetic and with the basis of the Revolution of the Dialectic. 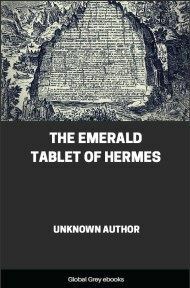 This work is eminently practical, essentially ethical and profoundly dialectic, philosophical and scientific. If they laugh at this book, if they criticize us, if they insult us, what does science matter and what to us, for the one who laughs at what he ignores, is on the way to becoming an idiot. Here goes this treatise to the battlefield like a terrible lion, to unmask the traitors and to disconcert the tyrants before the solemn verdict of public consciousness. Monotheism always leads to anthropomorphism, - idolatry -, originating, by reaction, atheist materialism; that is why we prefer polytheism. We are not scared to talk about the intelligent principles of the mechanical phenomena of nature, even if they classify us as pagans. We are partisans of a modern polytheism founded on Psychoironics. Monotheistic doctrines lead, in final synthesis, to idolatry. It is preferable to talk about the intelligent principles which never lead to materialism. The abuse of polytheism in turn leads, by reaction to monotheism. Modern monotheism surged from the abuse of polytheism. 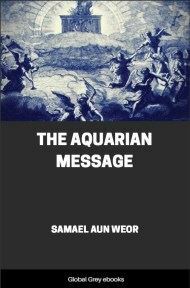 In the Era of Aquarius, in this new phase of the Revolution of the Dialectic, polytheism should be sketched psychologically in a transcendental manner, and besides, it should be put forward intelligently. We have to make a very wise stating with a vital and integral monistic polytheism. Monistic polytheism is the synthesis of polytheism and monotheism. Variety is unity. 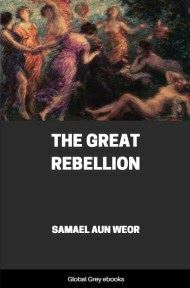 In the Revolution of the Dialectic, the terms good and evil, as well as those of evolution and involution, God or religion, are not employed.